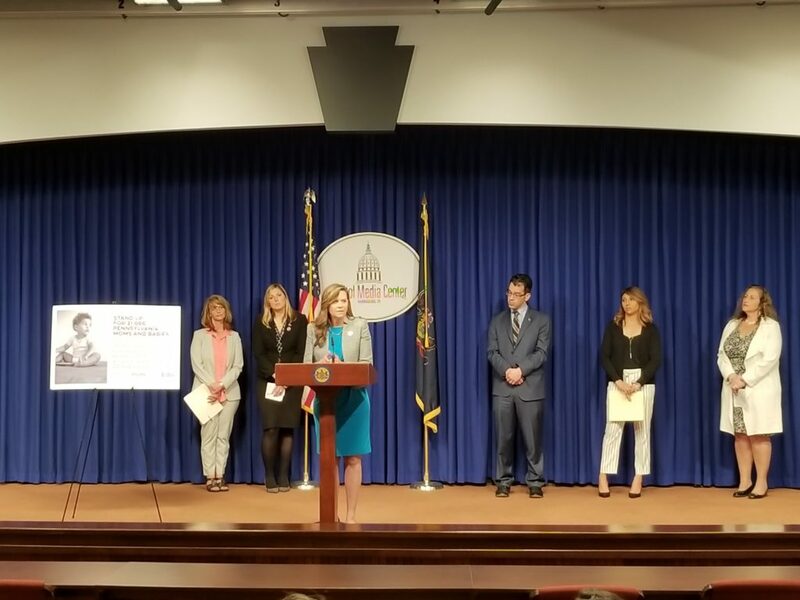 Advocates from all corners of the state gathered at the Capitol Building in Harrisburg this week as part of the #StrongMomStrongBaby initiative that aims to reduce the negative impacts of postpartum depression. Approximately 15 percent of women suffer from postpartum depression, and the condition affects more than 20,000 families statewide each year. I have introduced legislation, along with Senator Judy Schwank, that would extend early intervention services to newborn and infant children of mothers affected by postpartum depression. The state already has a system in place to monitor infants and children who suffer from concerns related to their health and their living environment. My bill would expand the system to include families affected by postpartum depression. Similar legislation is also being sponsored by Representatives Tarah Toohil and Mike Schlossberg. I appreciate my colleagues in the General Assembly and the many advocates who are continuing the fight to protect vulnerable children and mothers. More information about our bill is available here. Many military veterans have the drive, discipline and leadership to be successful business owners, and a large number of Pennsylvania consumers have a willingness to support veteran-owned businesses. Supporting companies owned by veterans not only shows our thanks to the brave individuals who served our Commonwealth and our nation, but it also helps the economy by supporting new job options and economic opportunities in our communities. The Senate passed a bill last week that I authored to create a special new logo that will help veterans promote the companies they own and operate. Senate Bill 1041 would direct the Department of Military and Veterans Affairs to create the new logos to support the entrepreneurial efforts of veterans throughout Pennsylvania. I am hopeful that the House of Representatives will consider this measure in the near future. 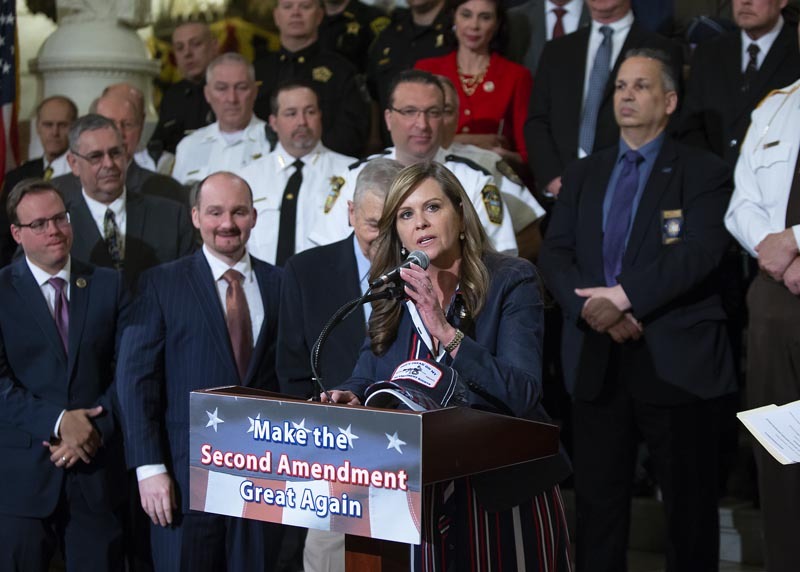 I was honored to share my support for Second Amendment rights during the Rally to Protect Your Right to Keep and Bear Arms, which was held at the state Capitol Building. The property tax is one of the biggest concerns for homeowners in every school district throughout our region, and lawmakers must agree on a better system of funding our public schools. I look forward to discussing this issue directly with community residents during a special telephone town hall on May 22 beginning at 6 p.m. Senator David Argall, who has introduced Senate Bill 76 and has long been a leading advocate for property tax elimination, will join us to discuss his legislation. Community residents who would like to ask questions, voice concerns, or just listen to the conversation can sign up to participate in the special town hall at http://www.senatorbartolotta.com/tele-town-hall/. Beaver County residents who have questions or concerns pertaining to state government can call or stop by my satellite office the second Monday of each month for assistance. The office is located in the Hopewell Township Building on 1700 Clark Boulevard in Aliquippa. I encourage local residents to contact me if my staff or I can offer assistance on any state government concern or issue. 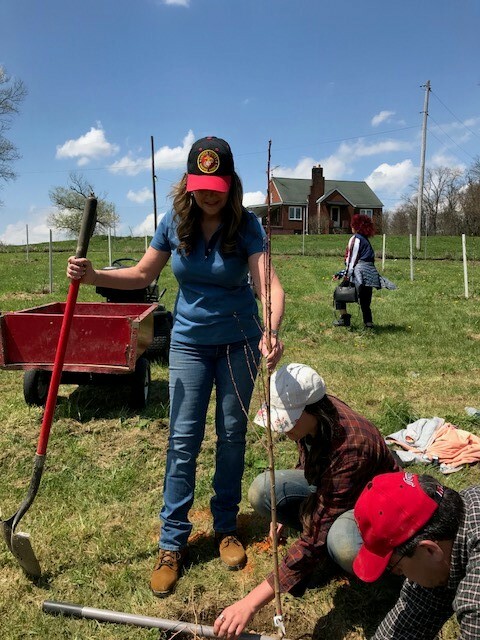 I appreciated the chance to join local volunteers to plant fruit trees in the orchard at the Greater Washington County Food Bank. The Senate advanced a number of bills last week, including measures to improve school safety and ensure proper supervision of patients in outpatient psychiatric clinics. Senate Bill 1136 amends the state School Code to allow a school located in a municipality without a municipal police department to enter into a cooperative police service agreement with an adjacent municipality. House Bill 478 requires outpatient psychiatric clinics to have a psychiatrist on site for two hours of psychiatric time per week for each full-time equivalent treatment staff member employed by the clinic. 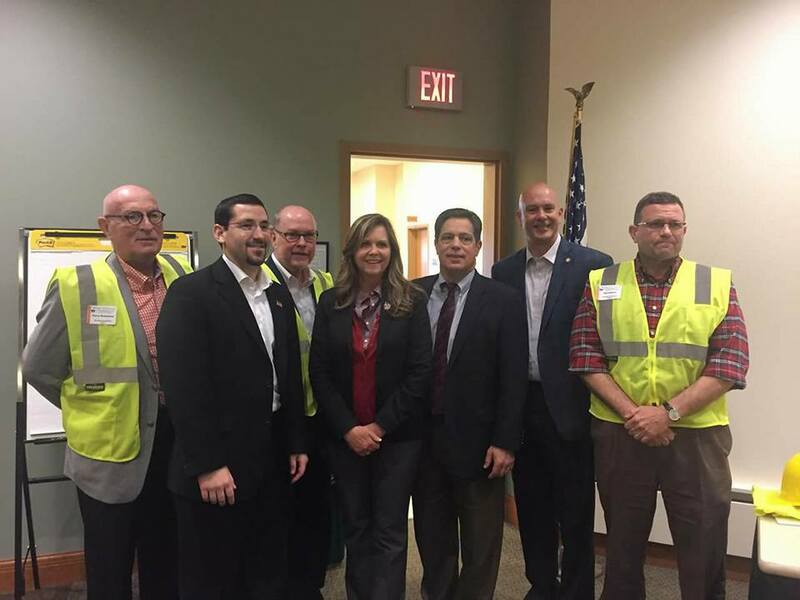 The Construction Legislative Council of Western PA infrastructure bus tour offered lawmakers a great update on the construction of the Southern Beltway and related projects. Two schools in the Jefferson-Morgan School District will receive state grants to help serve healthier meals to students. The grants were awarded as part of the Food Service Equipment Grant Program to Jefferson-Morgan JSHS and Jefferson-Morgan Elementary for the purchase of new equipment that will allow schools to meet the updated meal patterns, with emphasis on more fruits and vegetables in school meals, improved food safety, and expanded access to food.